Who says lasagna has to take a ton of time and effort? 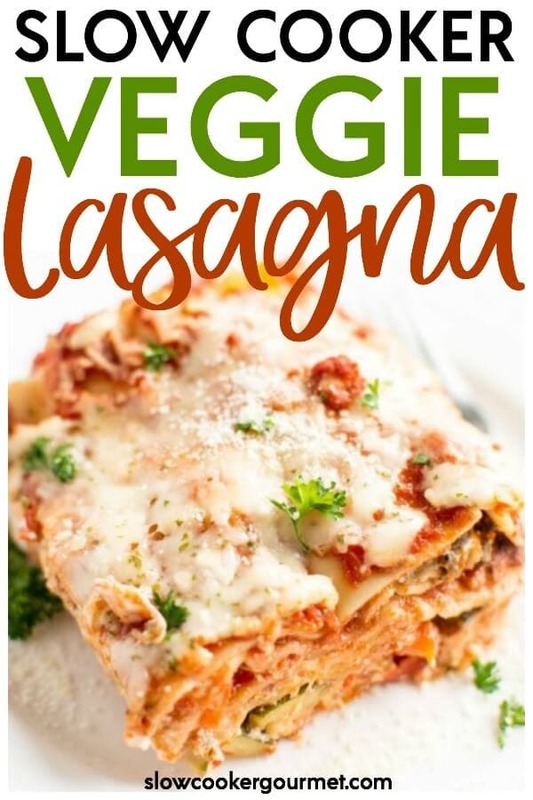 Not this Slow Cooker Veggie Lasagna! 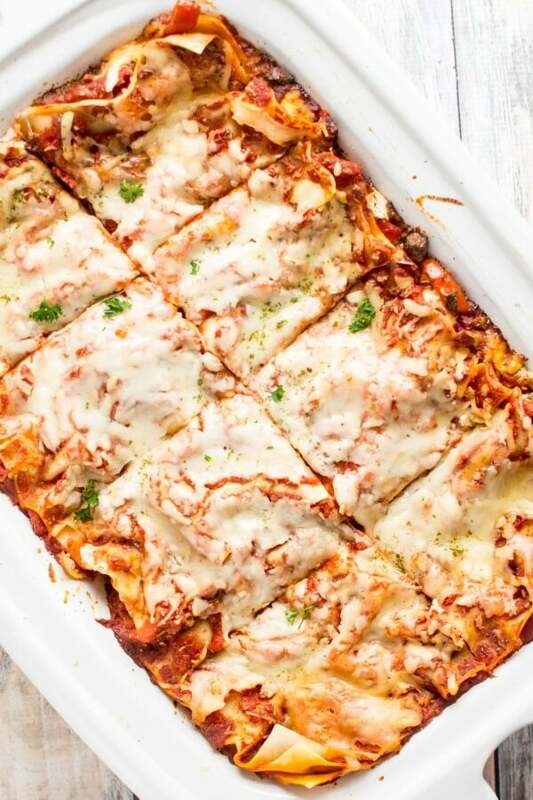 Packed full of nutritious veggies and a super simple and delicious homemade pasta sauce, this lasagna will soon be your favorite. With the help of your slow cooker this easy recipe is perfect for your families next meal! I tend to avoid making lasagna due to the sheer amount of time and work involved. Plus I don’t really like anything too traditional, so coming up with something the whole family will enjoy can be quite the task. 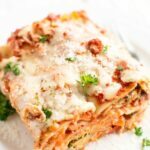 With no-boil noodles, my casserole crock, and a few delicious veggies I finally found a lasagna that fits the bill! I find dicing veggies nice and relaxing so this easy recipe was perfect for me! If that isn’t your thing, most grocery stores offer a wide range of pre-sliced vegetables to save time if you like. The best part of this recipe is you can make it your own by choosing veggies that are your favorites! I also made a super simple homemade pasta sauce. This takes only minutes and eliminates all that sugar and stuff you may find in jarred sauces. 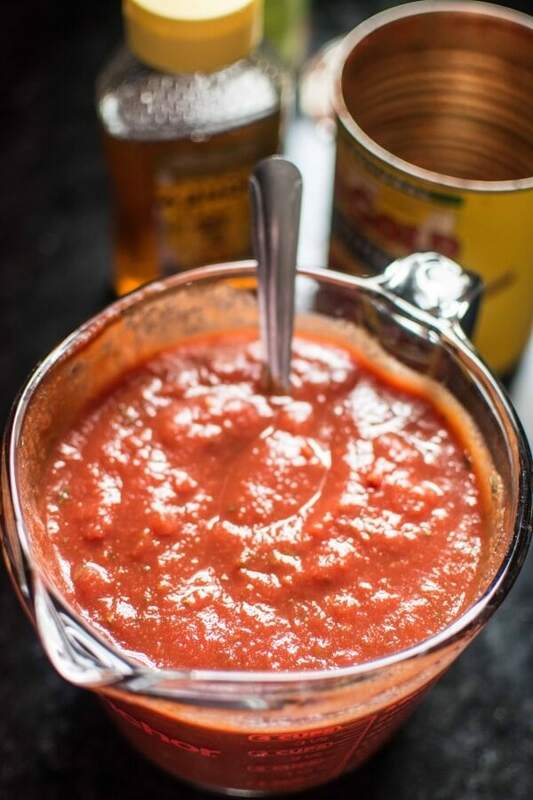 Grab some crushed tomatoes, tomato sauce (I used the roasted garlic variety), tomato paste, seasonings and a touch of honey for natural sweetness and you will have a homemade sauce that is just as delicious as anything at the store! I used my Casserole Slow Cooker and layered up this veggie lasagna with ricotta and fresh mozzarella. Let this slow cook away while you go play (or work if you must!). Either way when you get home it will be time for everyone to dig into their new favorite lasagna! 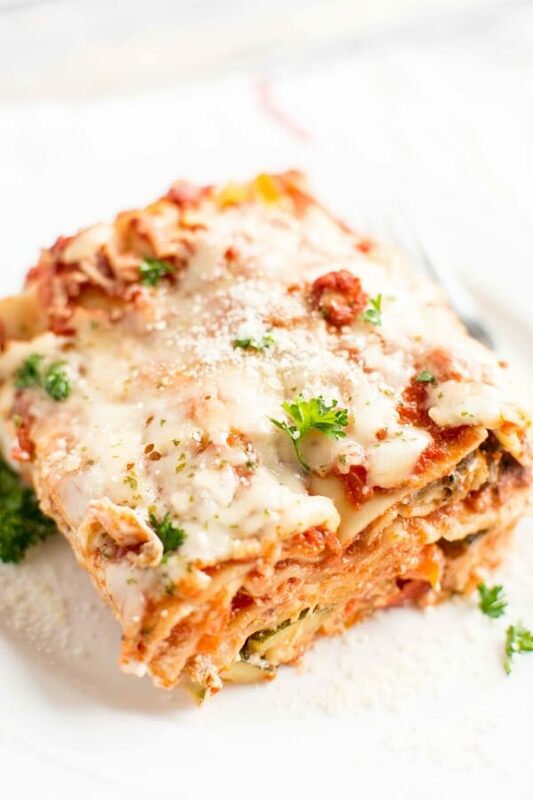 Now that you know how easy this veggie lasagna can be in your slow cooker try these other variations! It is recommended to make this in a casserole crock but you can also make it in a regular slow cooker. You will just need to adjust the layers to fit your specific slow cooker. I put this lasagna together this morning and set my slow cooker on low for 8 hours. I came home from work and tried a bite. 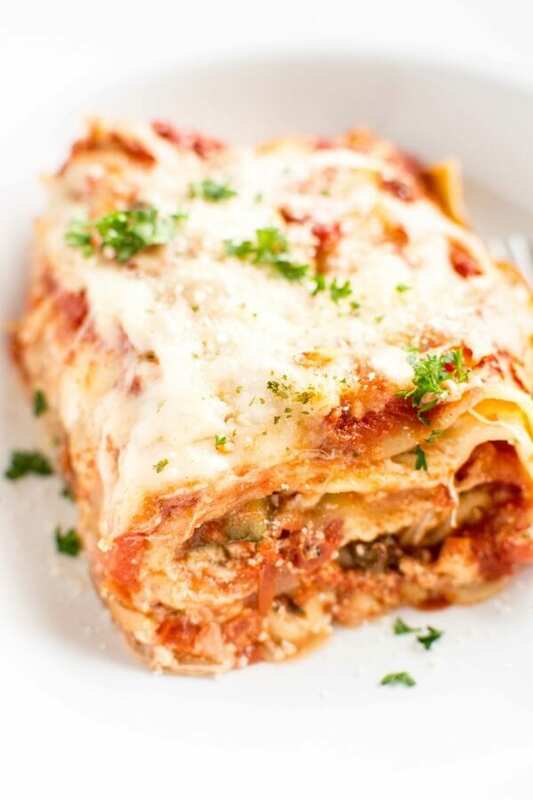 The lasagna noodles are way too overcooked, like to the point where it’s just not good. They dissolve in your mouth they’re so overcooked. I’m disappointed. I think the cook time should be a maximum of low on 6 hours and even then, it seems like the cook time should be high for 4 hours. Maybe my slow cooker has a higher than average temperature when set on low and that’s what caused the overcooking. Hi Mindy. So sorry the recipe did not turn out for you. Unfortunately, you are right, every slow cooker cooks at a different temperature at it sounds like the cooking time should be adjusted down for you. Can this be combined the evening before, refrigerated overnight and then baked the next morning for lunch? I haven’t tried it, but I think it should work! 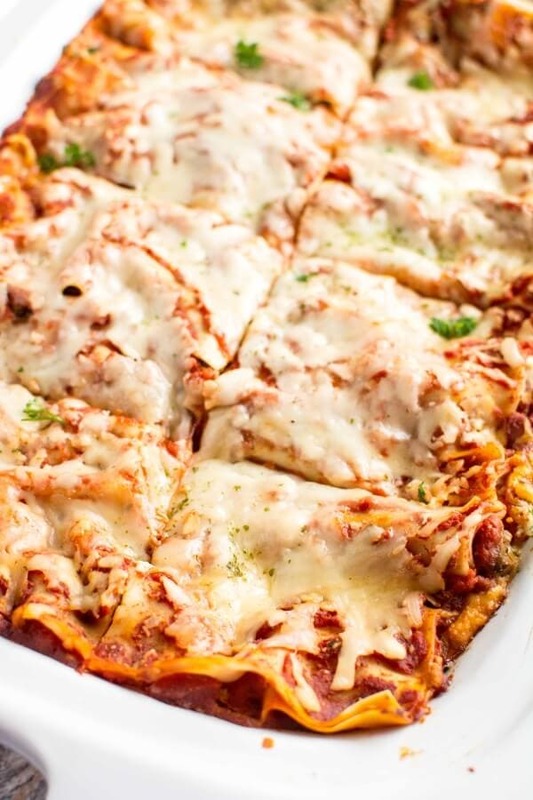 I would switch out the oven ready lasagna noodles for regular lasagna noodles since they will be sitting in the sauce so much longer. I think they would hold up better. Thanks! I had decided to use the regular noodles for the same reason. Just wondering if you had any experience holding this recipe over night. I made this tonight to rave reviews! Great recipe. I added some shredded carrots, just used button mushrooms, added 2 T of minced garlic to the sauce, and added some panko bread crumbs on the top layer.